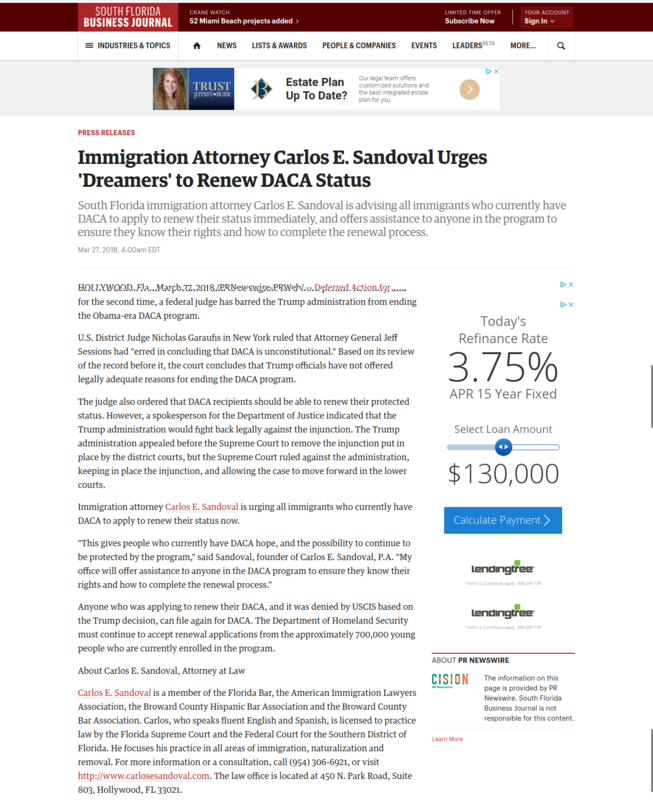 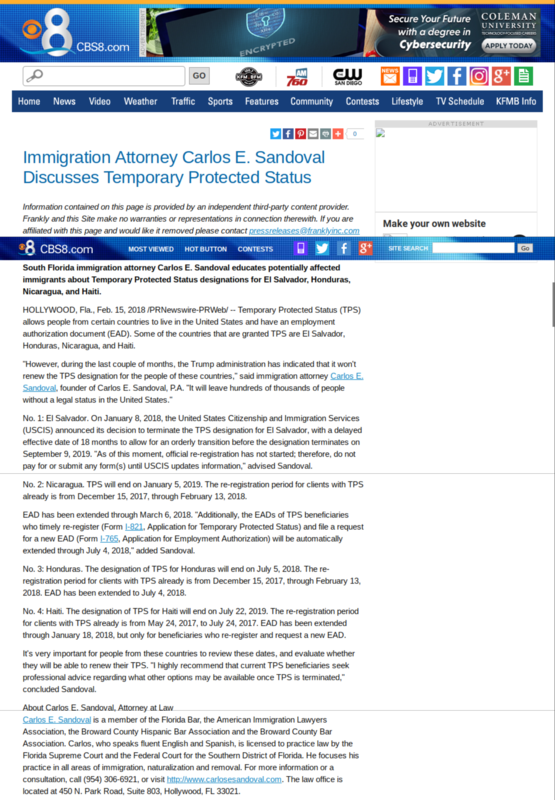 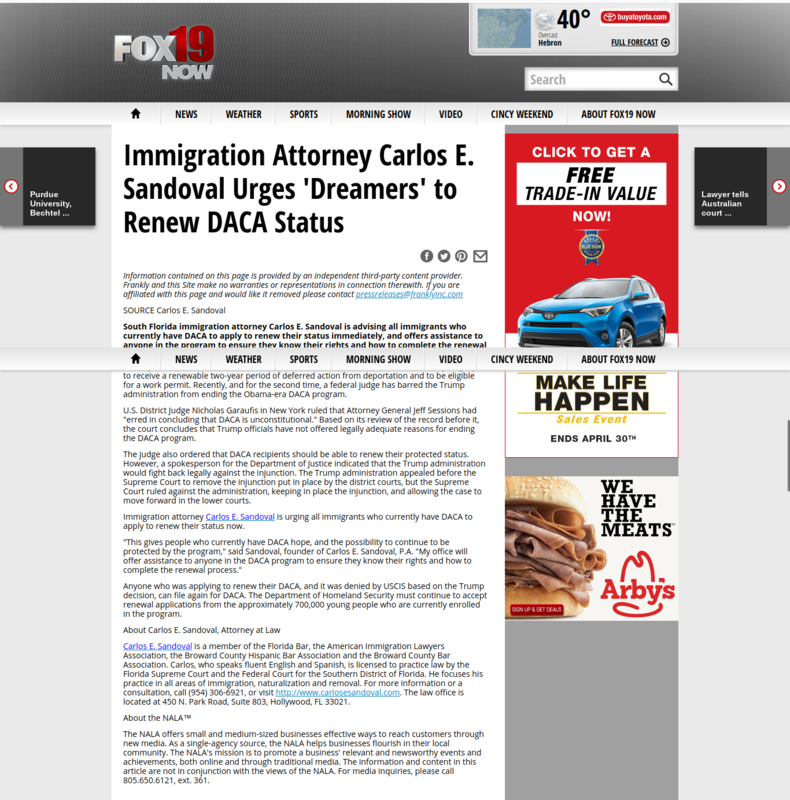 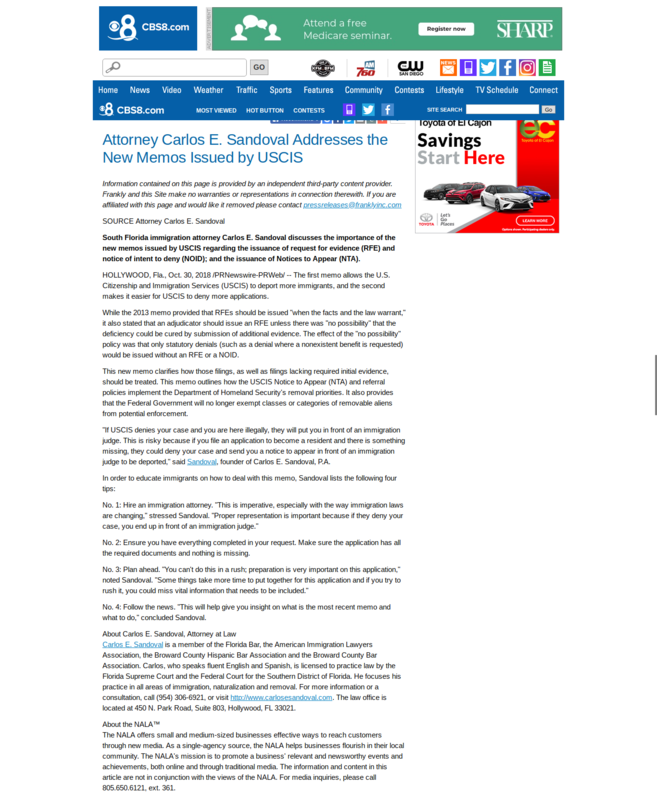 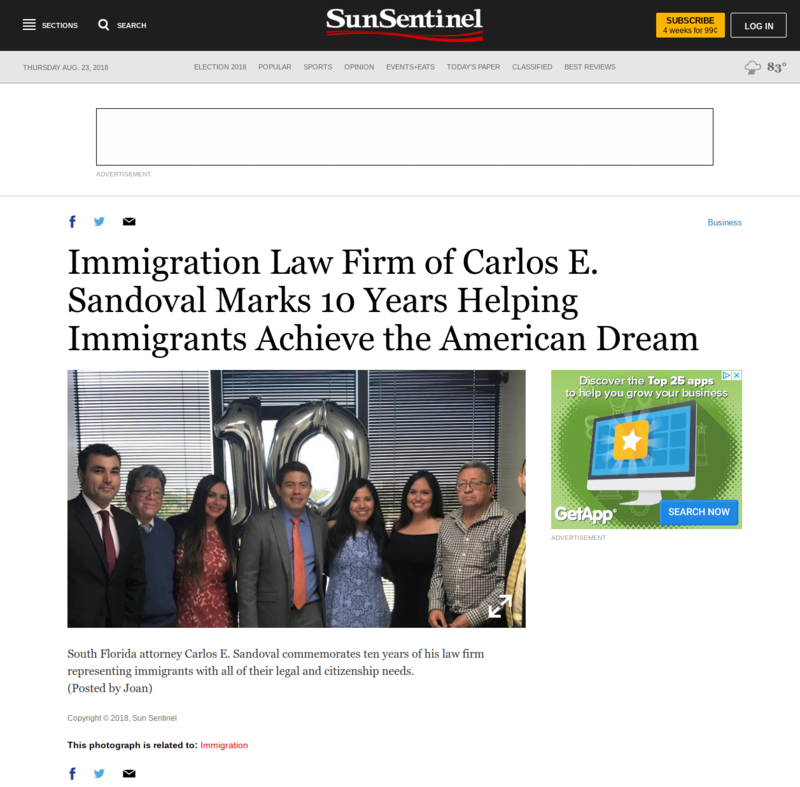 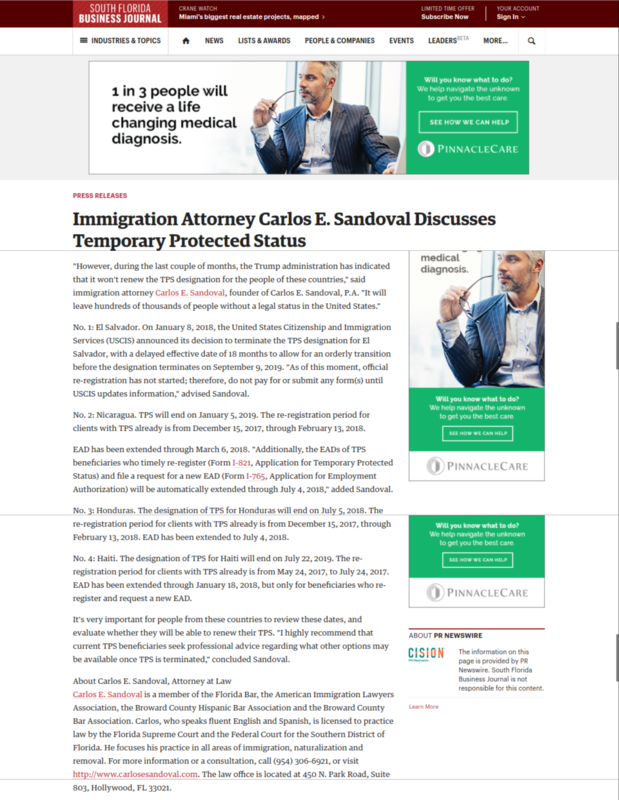 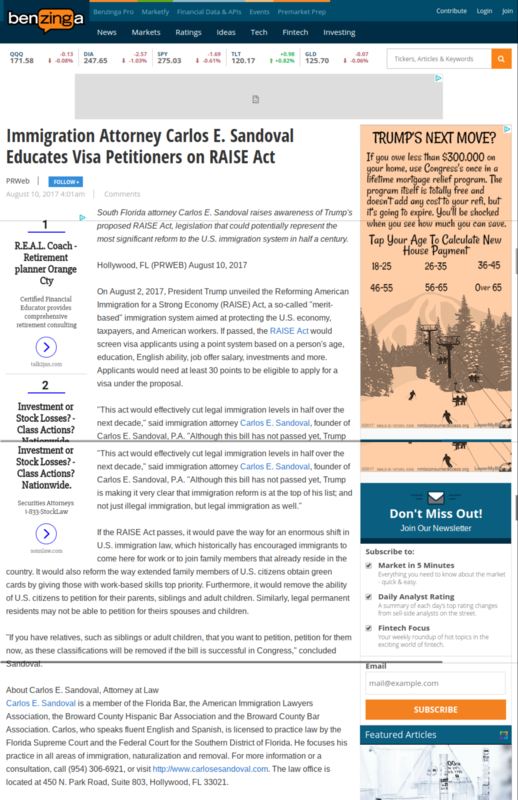 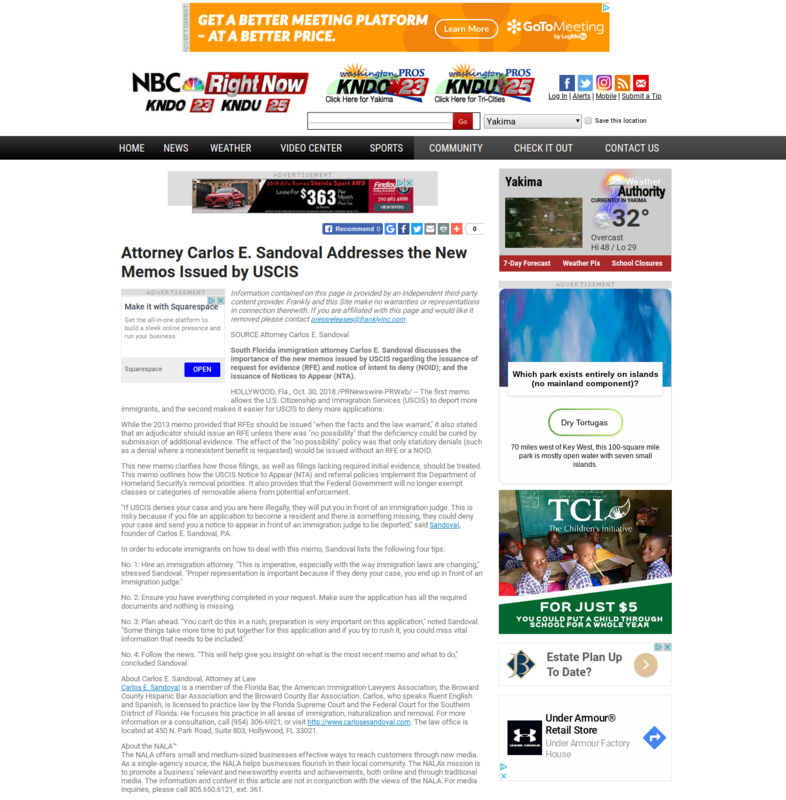 Carlos E. Sandoval is a member of the Florida Bar, the American Immigration Lawyers Association, the Broward County Hispanic Bar Association and the Broward County Bar Association. 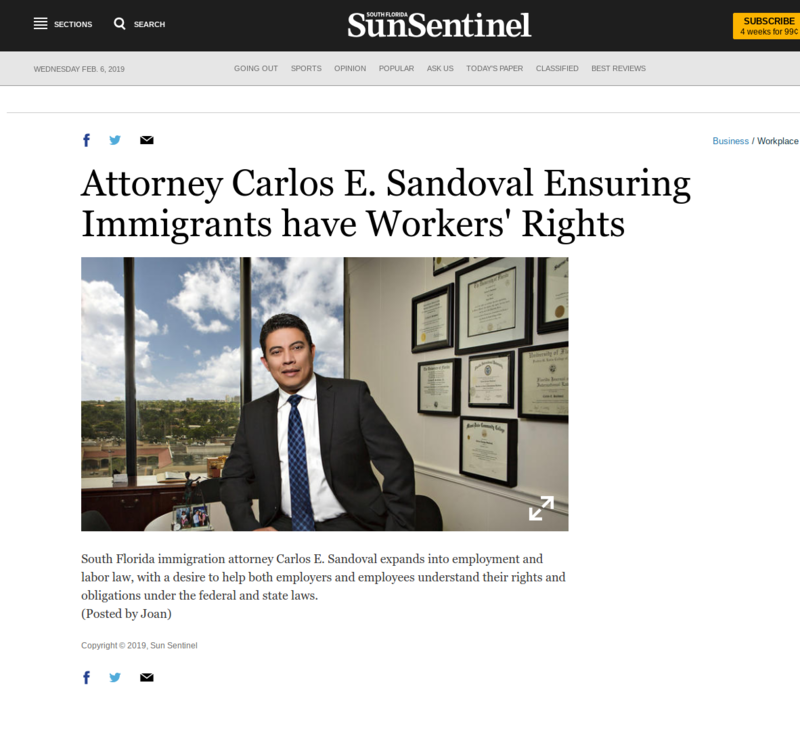 Carlos, who speaks fluent English and Spanish, is licensed to practice law by the Florida Supreme Court and the Federal Court for the Southern District of Florida. 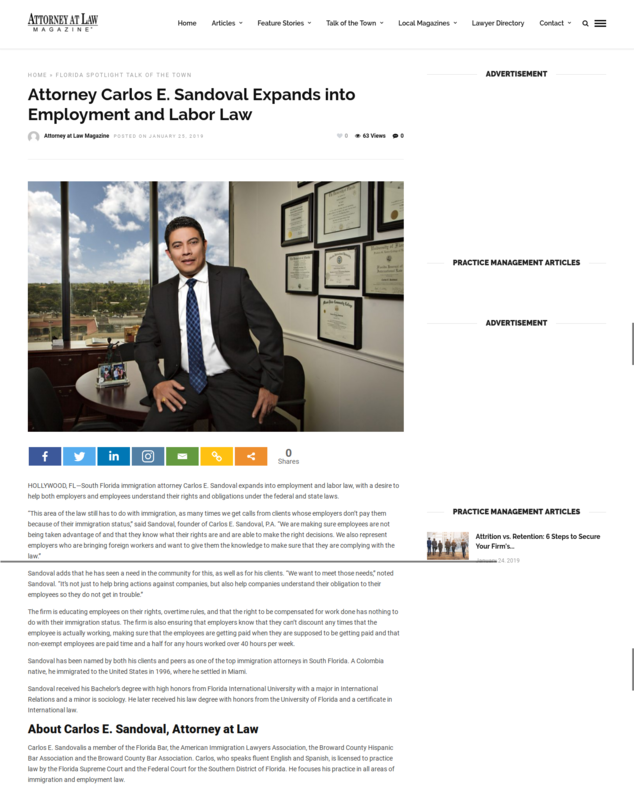 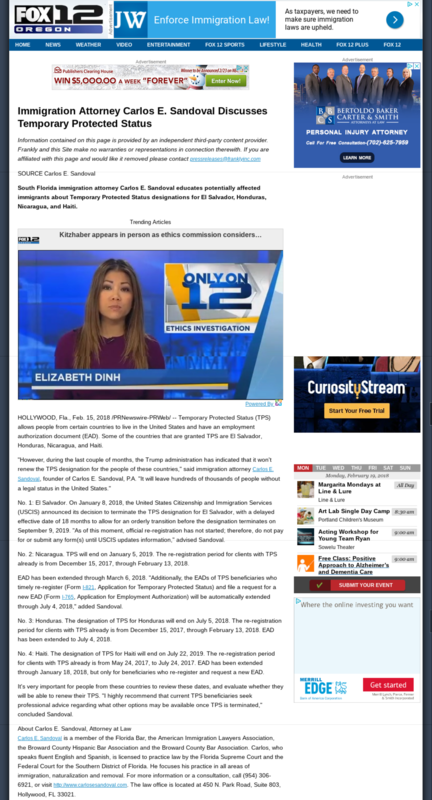 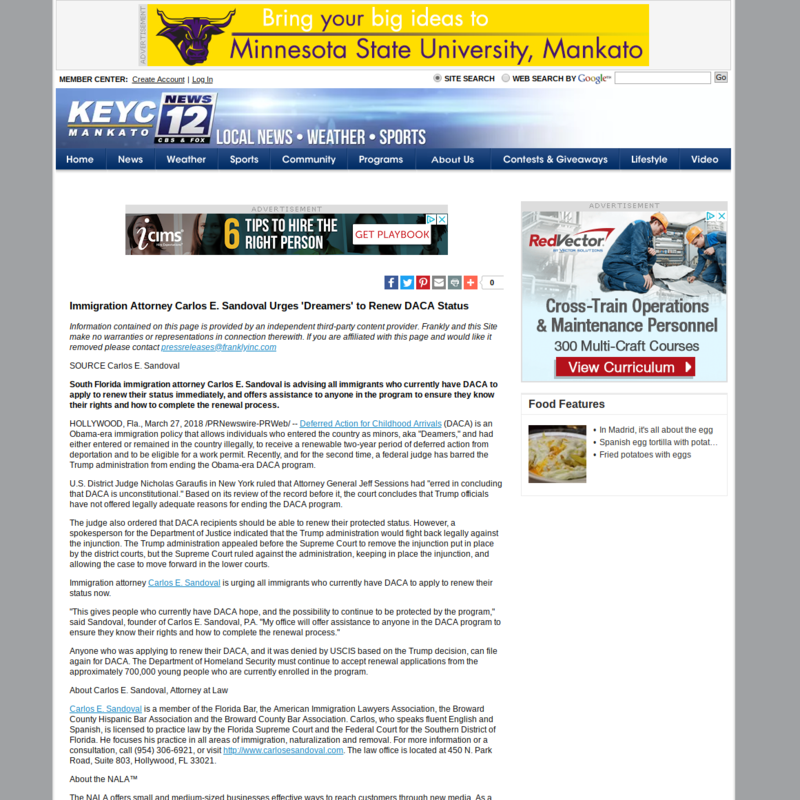 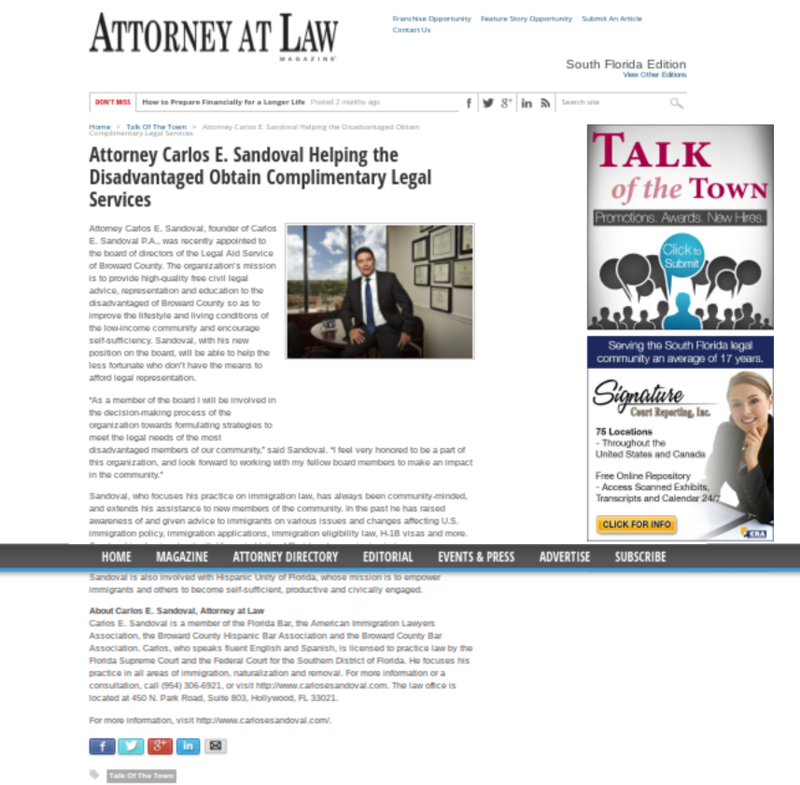 He focuses his practice in all areas of immigration, naturalization and removal.